Gaia Language, conveniently located between Central and Mid-Levels, features qualified and energetic teachers in a clean, spacious and bright environment. However, what really makes us special is what we teach, and how we teach it. We offer the deep study that delivers the best test results. 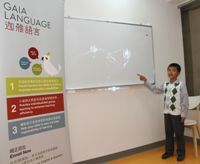 At Gaia, we offer not only English and Mandarin Chinese, but also Spanish and Latin. Spanish is the world’s second most commonly spoken language after Chinese, and is the language used in the growing economies of Mexico and South America. As well as a smart career move, learning the melodious, beautiful language offers a new window into a number of rewarding and exotic cultures. Our native Spanish teachers are uniquely qualified through the prestigious Salamanca Spanish Program. 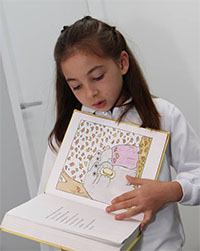 Beginning in 2014-2015, Gaia is bringing the Salamanca International Spanish Curriculum (SISC) to schools in Hong Kong. Latin was the first world language, and it forms the basis for French, Italian, Spanish, Portugese, and even English; three quarters of the words in English come from Latin. It has also long been recognized that learning Latin develops young learners’ powers of logical reasoning. Our Latin program, headed by a teacher who holds a B.A. in Classical Languages and a Ph.D. in literature, offers the chance of preparing for the elite Cambridge IGCSE and US College Board Advanced Placement exams. At Gaia we recognize that language is not just about words, but about contexts, cultures, and mentalities. This is why with all four languages we focus on content, broadly using the TPRS (Teaching Proficiency through Reading and Storytelling) method, and inspiring our students with good literature at all levels. We are not a cram school, and we prepare students to meet their goals without the drudgery involved in head-on exam prep. When you come to our center on Caine Road, the first thing you see is an open space and a wall of good books. Let’s find a good one that you will like, and let’s begin. 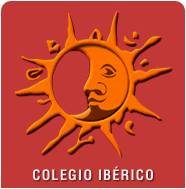 Co-organizer of the Salamanca International Spanish Curriculum (SISC) with Colegio Ibérico, a Cervantes Instituto-accredited language institute in Spain. Member of ESF Educational Services.